As leaving small children in the care of others has grown in popularity so has the awareness that not all carers are caring. Depending on one’s social circles, it’s not unusual to hear a weekly childcare horror story. Whether the babysitting arrangement is posh or subsidized seems not to matter. Little ones watched in their own home by uniform clad nannies, babies clustered in a neighbor’s living room, or those in daycare centers are equally vulnerable. This reality is not meant to strike fear. There is a fine line between believing in the boogeyman and having some common sense. Quite simply vulnerable people are often vulnerable. Many parents have addressed their concerns strategically; using hidden cameras or surprise visits. This might seem hovering to some but it most often is not. A small child by definition does not have sophisticated communication skills. A baby is completely helpless. Caring for small children is not easy and can be incredibly frustrating. When doing so is an actual job there is little emotional attachment to pull the carer through the darkness. This doesn’t excuse mistreatment; it only helps to explain it. It can happen, and every parent everywhere knows this. What we don’t often consider is what can happen to our parents if they too are dependent on care. Elderly people are just as, if not even more susceptible to mistreatment. Often an adult child is arranging the care from a distance, relying upon agencies or institutions to do the right thing. Nursing homes are staffed with the same extreme variations of competency seen in hospitals. Supervision of aides is no more reliable than in any other business sector. People don’t necessarily go into the low-paying and often messy work of health aide due to some sort of calling. It’s a job. Some people are good at it and some people are not. It can be terribly overwhelming to arrange care for a parent. The mixture of relief and guilt of situating a parent can be all consuming. It often is only when there are signs of mistreatment that the concept even occurs to anyone. Often, like small children, the parent is not a reliable narrator. The parent might not know that possessions are missing or meals have been missed. A person with memory loss may not be able to recall mistreatment. Some bruises or marks may in fact be the result of a combative parent and not abuse. Add to that muddle the fact that the parent might only receive occasional visits from family members, and how is anyone to know what’s really going on? Granny cams. Installing hidden cameras (on live feed to an adult child’s computer) in a parent’s home will tell most of the story. 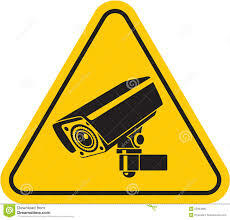 Having every care facility (including senior daycare) outfitted with surveillance will change things dramatically. Those institutions should post signs everywhere informing employees, residents and visitors that; “You Are Being Watched.” Is it an invasion of privacy? Of course. So is having a bevy of doctors and interns gaze upon one’s privates for the benefit of learning. (It’s interesting which invasions of privacy we notice and which we don’t.) The signage will not only deter some misdeeds it also will set a tone. An institution that puts the safety of its patients above all else will attract employees with a compatible ethos. The surveillance will have to be viewed of course, which is not inexpensive. But surely the diminished lawsuits will help to defray those costs. It’s tempting to wring our hands and bemoan how things have changed for the worse. But it wouldn’t be entirely accurate. Eldercare has risen in popularity because people live longer. Childcare has risen in popularity partly due to more employment opportunity for women. As things grow they often become less wieldy and need to be formalized. There’s nothing graceful or lovely about spying on people but there’s nothing so terribly genteel about burying our heads in the sand either.